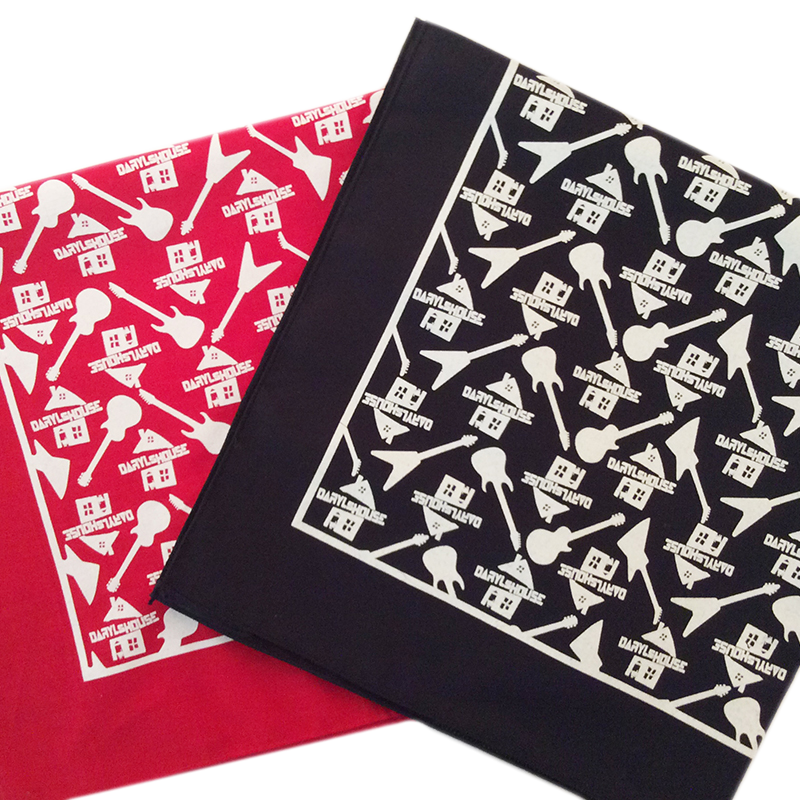 Description: 22" square cotton bandannas. Black or Red with white logo print. 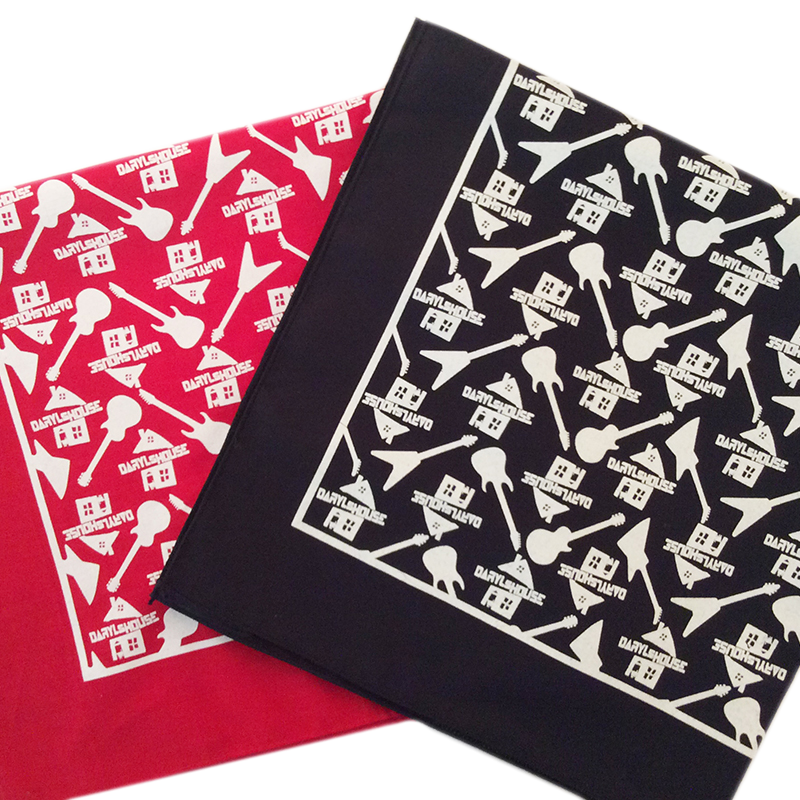 Red or Black Description: 22" square cotton bandannas. Black or Red with white logo print.